Ever wondered why we love superheroes so much? Ever since the first comic book rolled off the press in the 1930s, we’ve been fascinated by gritty tales of costumed avengers keeping our streets safe from evil, but what does this say about us? What is the psychology of superheroes and why do we love them more than ever in 2014? When writer, Jerry Siegel, and artist, Joe Shuster, created Superman in 1933, they probably had no idea they were creating the blueprint for superheroes as we know them today. The enduring concept of a mild-mannered, unremarkable individual who transforms into their fantastic alter-ego and saves the world with special powers is a common thread running through many of our other most popular characters, such as Spiderman and Wolverine. And, with Free Comic Book Day celebrated worldwide recently (the first Saturday each May), it’s time to take a closer look at some of our favorites and discover why we just can’t seem to get enough of these costumed avengers. It’s time to take off the mask and delve deep into the psychology of superheroes and what they mean to us. This ramshackle group of individuals who gained superpowers after being exposed to cosmic rays during a scientific mission to outer space first graced the covers of Marvel Comics in 1961. The Fantastic Four are: Mister Fantastic aka Reed Richards (whose body can stretch to unimaginable lengths), The Invisible Woman aka Susan ‘Sue’ Storm (who can project powerful force fields as well as make herself disappear from view), her younger brother, The Human Torch aka Johnny Storm (who can burst into flames and fly) and the all-powerful Thing aka Ben Grimm (who has superhuman strength and resilience thanks to his brick-like flesh). In creating the Fantastic Four, writer and editor Stan Lee and artist Jack Kirby found a way of working together that would set the benchmark (known as the Marvel Method) for their future collaborations, which included X-Men and The Incredible Hulk. 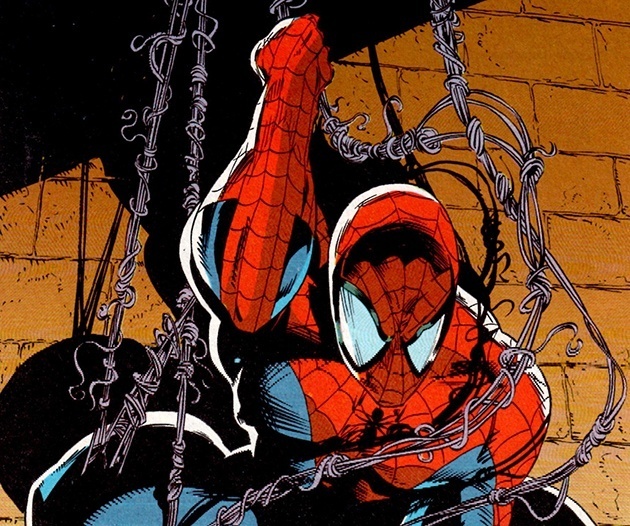 Stan Lee also worked with another artist, Steve Ditko, to create Spider-Man. 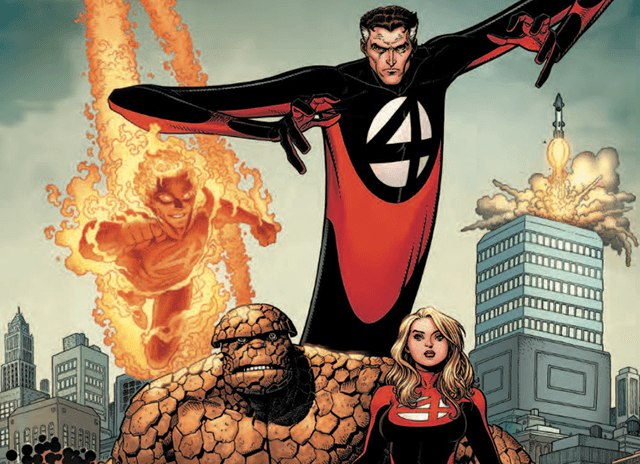 Although they possess superhuman powers, it’s the human qualities displayed by each member of The Fantastic Four that explain their continued popularity, according to some researchers. They may have disagreements, they may even resent each other from time to time, but they all unite as a team in the name of fighting evil. And, they each have personality traits many of us can identify with. For example, The Human Torch (Johnny Storm) is portrayed as a brash, rebellious teenager in the early stories, while The Thing (Ben Grimm) is often consumed by feelings of anger and self-loathing at his monstrous appearance. If Stan Lee and Jack Kirby broke the mold when they created The Fantastic Four and showed us the human failings of superheroes, writer Alan Moore and artist Dave Gibbons took things even further when their acclaimed graphic novel, The Watchmen, was published between 1985 and 1986. This dark and unsettling story, which begins with the death of a superhero, shines a light into the darker parts of the human psyche and takes us on a fascinating and unsettling journey into the psychology of superheroes. 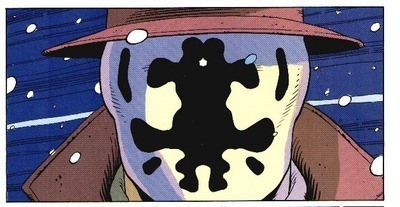 It centers around the characters of Rorschach (a costumed vigilante who hides his face under a white mask featuring a constantly-changing symmetrical ink blot pattern), The Comedian (a costumed hero employed by the US Government whose murder at the very beginning sets the scene for The Watchmen), Doctor Manhattan (a superhuman being who lives in a quantum universe), Nite Owl (a retired superhero with a fondness for owl-related gadgets who bears some similarity to Batman), Ozymandias (a dangerously intelligent former superhero with a hidden agenda) and Silk Spectre (the daughter of the first Silk Spectre and The Comedian). Like many popular comics or graphic novels, The Watchmen is set in a parallel reality which, in this case, reflects the era of the 1980s. It blurs the lines between reality and fiction by describing a world in which superheroes (fantasy figures) are employed by the US Government to help shape real-life events, such as winning the Vietnam War and Richard Nixon’s presidency. After learning of the death of Edward Blake and discovering him to have been The Comedian, the main character, Rorschach, resolves to re-unite the former members of The Watchmen to fight what he believes to be a plot to rid the world of costumed heroes or vigilantes. The novel takes us on a dark, gritty and often shocking journey into Rorschach’s world – one where the superheroes supposedly fighting to save us have a very dark past indeed. What makes The Watchmen such an enduringly popular graphic novel is its uncompromising approach to what superheroes would possibly be like in the real world. At the time of writing it, Alan Moore was concerned by what he felt was a misguided sense of invincibility among a certain section of American society under the presidency of Ronald Reagan. As well as being a novel which deconstructs our notion of superheroes, it can also be interpreted as a political statement, warning us not to place complete trust (and therefore the fate of our world) in icons such as superheroes and world leaders. Initially created by artist, Bob Kane, and writer, Bill Finger, in 1939 as a response to the success of Superman, the mysterious character of Batman remains one of our most popular superheroes ever. The DC Comics character has gone through many transformations over the years, with the most recent film interpretation by actor Christian Bale being a far cry from the camp comedy antics of Adam West’s Batman in the 1960s. It seems we’ll never tire of the story of billionaire Bruce Wayne’s lifelong fight against crime after witnessing his parents’ murder as a young boy. Unlike many other superheroes, his alter-ego, Batman, doesn’t possess any superhuman powers – he’s just in peak physical condition and has a limitless range of gadgets at his disposal. 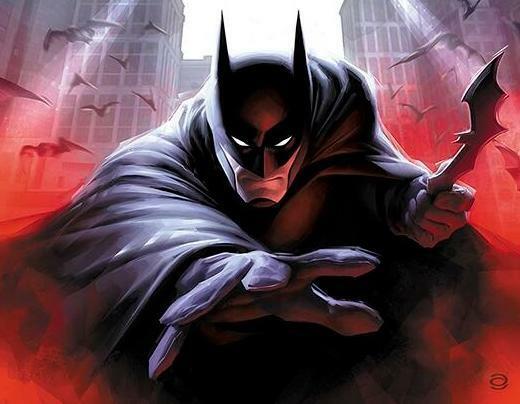 The character of Batman has intrigued psychiatrists for years, with many offering different views on why we find the psychology of superheroes like the Dark Knight so interesting. Is it because he often has to break the law to fight for what he believes is right? Or is it the dark, mysterious, slightly scary side to him that continues to attract huge audiences? As mentioned earlier, the character of Clark Kent and his alter-ego, Superman, is considered the blueprint for many superhero characters since. Interestingly, there are numerous autobiographical elements to the story. Joe Shuster, the artist who created Superman, worked at the Toronto Daily Star as a young man and, in early versions of Superman, Clark Kent works at a newspaper called the Daily Star (it was later renamed The Daily Planet when the comics were published internationally). Some comic book writers and historians, such as Gerard Jones and Brad Meltzer, also feel the backgrounds of Shuster and Siegel (they were both sons of Jewish immigrants and Siegel’s dad tragically died during a robbery attempt on his clothing store) played a big part in Superman’s creation. Of all our favorite superheroes, it’s Superman who has possibly had the biggest impact upon popular culture. The psychology of superheroes goes a big way towards explaining their cultural impact. Perhaps many of us can identify with the character of Kal-El, who was sent to Earth as an infant orphan from the dying planet Krypton and raised as Clark Kent by a family in Kansas before discovering he had the powers to save the human race as Superman. Picture the scene. You’re an orphaned teenager with a whole load of adolescent hang-ups and, on top of this, you’ve just been bitten by a radioactive spider. No wonder Peter Parker, who discovers he’s developed superpowers as a result of this arachnid attack, prefers life as Spider-Man. Since swinging his way into our lives in Marvel’s Amazing Fantasy in 1962, the antics of Spidey have continued to hold audiences firmly in their web. The creation by writer, Stan Lee, and artist, Steve Ditko, of what writer and comic book historian, Paul Kupperberg, called a ‘flawed superhero with everyday problems’ saw the beginning of a new genre in comics. The psychology of superheroes with all-too human traits of anxiety and neuroses really struck a chord with us back then. And, this concept of ordinary people with extraordinary alter-egos will no doubt continue to fascinate us in future. In this article, we’ve covered some of the world’s most popular superheroes, but the list is seemingly endless. Who’s your favorite costumed avenger? Perhaps you’ve got your own insights into why we love superheroes so much?